This Girl Lel: Meow Meow for Me. Thursday. 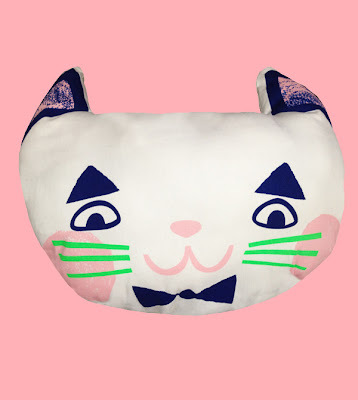 And I have fallen in love with this Meow Face Cat Cusion by Beneath The Sun. I don't have a pet. This could be my pet cat. I'd call him Mr Meow. 100% Cotton with polyfill stuffing, machine washable. Measures: 45cm width x 35cm height. AUD $45. And if you're not a cat lover, there's a much of other lovely things on their site to fall in love with, take home and name.